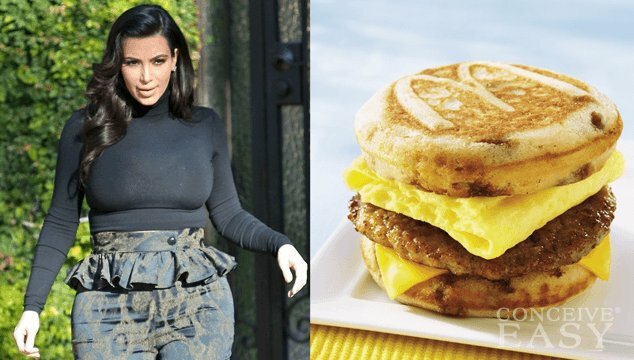 Kim Kardashian’s Latest Unhealthy Pregnancy Craving: McGriddle from McDonalds? Kim herself says that her body is changing, no doubt about that. She says her weight gain is more like 30 pounds, and that she weighed in at 150 just last week at her doctor’s appointment. Please. 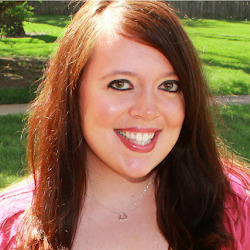 How many of us can honestly say that we weighed 150 when we were six months pregnant? Not me, that’s for sure. Kim also tweeted a picture of her bare baby bump the other day, possibly to shut up all of her haters, and I have to say, I think she looks great! The tabloids are also reporting that Kimmy K is binge eating, pigging out on sweets like chocolate, ice cream, etc. However, Kim has said in recent interviews that while she does have a sweet tooth, she hasn’t really craved much during her pregnancy. We all know that pregnancy does change your taste buds very drastically, so we think she makes sense! Please tell us why this is such a big deal? Pregnant women have been having cravings for hundreds of years, so let this girl have her McGriddle. She also recently posted a picture of her first “official” craving, an In n Out burger. So, she had a McGriddle in February,and a burger in March? Oh my goodness, what a bad girl!! Come on people, leave her alone, I eat more fast food than that in a week! And, don’t you get a little bit of a free pass when you’re pregnant? We don’t see any problems at all with Kim indulging a little bit during her pregnancy. She has been photographed going to the gym almost every single day since she has been pregnant, and she has been eating really healthy, apart from a few splurges. Please, tell us, what pregnant woman doesn’t give in to her cravings at least a little bit during her pregnancy? In our opinions, Kimmy K should get a little bit of a break. It’s her first pregnancy, she’s taking care of herself, she isn’t going too far off the deep end and indulging in every single thing that she could possibly think of to eat, so…. things could be a lot worse!